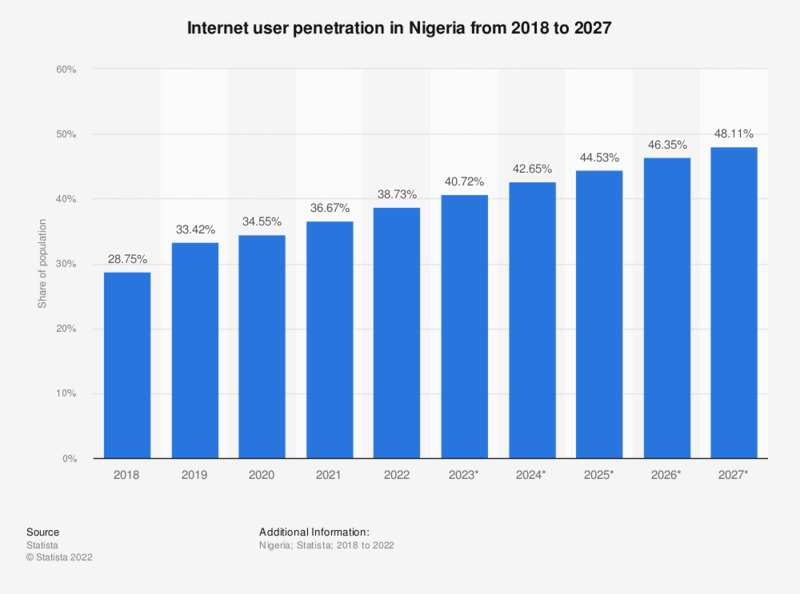 This statistic provides information on the internet usage penetration in Nigeria from 2017 to 2023. In 2018, 47.1 percent of the Nigerian population were internet users. This share is projected to grow to 84.5 percent in 2023. Everything On "Nigeria" in One Document: Edited and Divided into Handy Chapters. Including Detailed References.